The government project is helping ambitious councils get well-designed homes built on large sites, and the money will help pay for master-planning and technical studies. 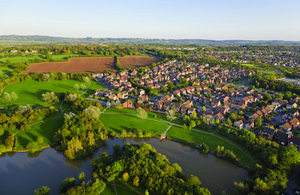 It also includes developments in Basingstoke, Didcot, Taunton, Harlow-Gilston and across Northamptonshire where work is already underway on the first phase of developments. The funding will be administered by Homes England.